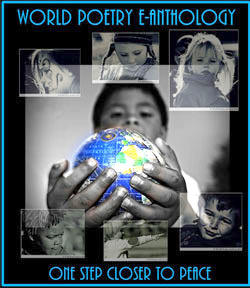 World Poetry Celebrates The Talented Musician Sera Serpa! 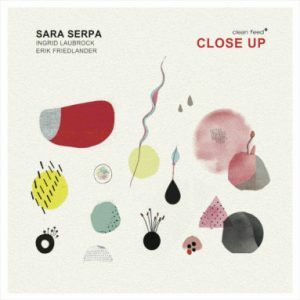 The World Poetry Café on June 14, (CFRO 100.5 FM )at 1:30 PM PST, celebrated the beautifully talented musician and composer Sara Serpa with her new CD Close Up. Brought to us by our great partners Braitwaite and Katz. I absolutely loved her new CD which combines her lovely voice with cello and tenor sax. Due to technical difficulties at 1:10 PM, Herb Bryce will be re-scheduled to August 2nd. TO LISTEN TO THE SHOW! The configuration of voice, saxophone and cello exposes each instrument in a vulnerability that sometimes verges on discomfort, much like a Close Up photograph that is saturated with detail. As a trio, we are faced with the challenges of finding a way to work together while playing within this hyper-detailed setting and this uneasy close range. From within this exposure, we look for cohesion, and collective sound. I wrote the material, but the music took shape in the process of our rehearsals and the time we spent together, discussing and trying. The recording process, too, continued the concept of exposure. All of us were present in the same room as we recorded, taking away the possibility of correcting mistakes—no chance of going back. The compositions themselves also reveal Close Ups of different episodes in my life. Each episode as it took place by itself felt simultaneously important and isolated. Put together the episodes create a whole—life itself, with its moments of joy and sadness. The compositions assume the different languages from throughout my life. In English, my adopted second language, there are texts by two women whose writing I greatly admire: Virginia Woolf and philosopher and feminist Luce Irigaray. Portuguese, my mother tongue, appears in “Pássaros”, a poem by the late Ruy Bello, gone too soon. Departure from and avoidance of language is part of my work. When I come to sing or compose, in the moment I lack words, I sing sounds. Sounds that alone find their meaning. The wordless voice becomes another Close Up of a moment, emotion or expression. There are different challenges imposed on the voice in this music – to create a background, to hold down a bass line, to sing long tones that become textures, to traverse complex lines, to find its place without a harmonic instrument, to be independent, to feature as a solo, to act in ensemble. These are all challenging situations, from which I am continually learning: to find the place for my human voice. Finally, at the time I was writing and working on this music, the film Close Up by Iranian director Abbas Kiarostami appeared in my life. The film was transformative for me, and has stayed alive in my mind as very few films are able to do. It is inspired by real life events and performed by the participants themselves—the people involved in the events become the subjects of the film. Subjects become objects, the viewers become the actors, and the actor(s) become(s) the director(s), as they reenact and reconstruct present and past events. Cinephile Sabzian fraudulently impersonates a well-known Iranian filmmaker to get access to a family’s house and daily private life. With the pretense that the family members and their house are ideal for his new film, he spends weeks in the house until his fraud is eventually discovered and he is taken to court. Sabzian is the anti-hero, in the sense that he lies and deceives. And yet it is impossible to see him as a bad person. The way he naively speaks and behaves shows his humanity and suffering. In the film, while Sabzian is in the courtroom, in a real-life trial, Kiarostami interviews him, showing a Close Up pan of his face. Sara Serpa is a singer, composer, improviser who implements a unique instrumental approach to her vocal style. Recognized for her distinctive wordless singing, Serpa has been immersed in the field of jazz, improvised and experimental music since first arriving in New York in 2008. Described by JazzTimes magazine as “a master of wordless landscapes” and by the New York Times as “a singer of silvery poise and cosmopolitan outlook,” Serpa started her recording and performing career with jazz luminaries such as Grammy-nominated pianist, Danilo Perez, Guggenheim and MacArthur Fellow pianist, Ran Blake, and Greg Osby. Her ethereal music draws from a broad variety of inspirations including literature, film, visual arts as well as history and nature. As a leader, she has produced and released nine albums, (with labels Sunnyside Records, Clean Feed, Tzadik and Inner Circle Music); the latest being “All The Dreams” in collaboration with guitarist André Matos. Serpa has collaborated with an extensive array of musicians including John Zorn, Guillermo Klein, Zeena Parkins, Mark Turner, Tyshawn Sorey, Nicole Mitchell, among many others. She has performed her own music in Europe, Australia, North and South America, singing at international festivals such as Festa do Jazz, the Panama Jazz Festival, Festival de Jazz de Montevideo, Wangaratta Jazz Festival and Adelaide Festival, Sopot Jazz Festival or venues like Bimhuis, Casa da Música, Village Vanguard, Jazz Standard, The Stone, Brooklyn Academy of Music, the Metropolitan Museum of Art, and the Kennedy Center for the Arts, among others. Currently, Serpa leads a trio with Erik Friedlander (cello) and Ingrid Laubrock (tenor sax), with a debut album coming out in March 2018 (Close Up/ Clean Feed) , and a trio featuring Zeena Parkins (harp) and Mark Turner (tenor sax) in an interdisciplinary performance, combining film with live music entitled “Recognition“. Serpa’s collaboration with her teacher/ mentor, Guggenheim and MacArthur Fellow pianist Ran Blake resulted in three recorded albums, providing fertile ground for the singer to explore/ interpret the Great American Songbook along with Film-Noir: Camera Obscura (2010), Aurora (2012), Kitano Noir (2015), the latter described by PopMatters as “wonderfully hypnotic”. Sara Serpa was the first Portuguese musician to ever perform at the renowned New York jazz venue, The Village Vanguard, in 2008 and 2009 with Greg Osby’s group. Serpa was voted as “Musician of the Year” in 2010 by the newspaper O Público, one of the major daily publications in Portugal, and was the cover of the U.S magazine Jazziz in 2012. Serpa has been voted and included by the DownBeat Magazine Critics Poll in the “Rising Star Vocalist” list in 2014, 2015, 2016 and 2017. Serpa’s accomplishments extend beyond the jazz world. Serpa has performed/ interpreted music of contemporary composers such as Andreia Pinto- Correia, Derek Bermel (with the Albany Symphony Orchestra, conducted by David Allan Miller), Aya Nishina (Flora (2014), and Joseph C. Phillips Jr. (Changing Same (2015). A New England Conservatory Master of Music (MM) in Jazz Performance, and a graduate from ISPA (Portugal) in Social Work and Rehabilitation, the Portuguese singer completed her Piano and Classical Singing Studies at Lisbon National Conservatory. She later fell in love with Jazz and Improvisation through the Hot Clube de Portugal’s school, while working on her research thesis about Refugee Women in Portugal. She relocated to the United States in 2005 to attend Berklee College of Music, followed by New England Conservatory. Source : Braitwaite and Katz. This entry was posted in Ariadne's Notes, E-Poets, Featured Poets, General and tagged Author Sharon Rowe, Braitwaite and Katz, Herb W. Bryce, International Peace Award Ariadne Sawyer, Kagan Goh, Sara Serpa, Victor Schwartzman on June 18, 2018 by Ariadne.